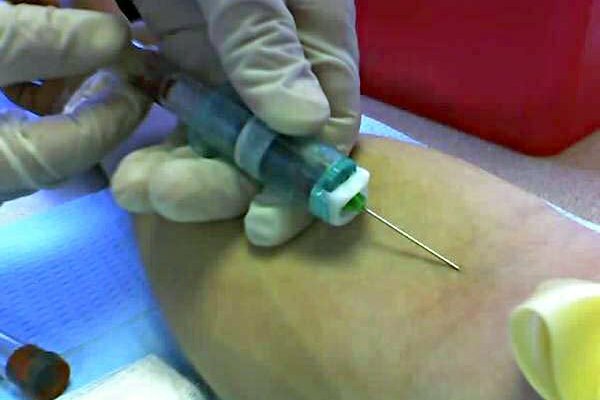 A health professional takes blood for testing. New tests that can indicate autism in children have been developed by university researchers in the United Kingdom. A team at the University of Warwick says it has found a link between autism and damage to proteins in blood plasma and has developed blood and urine tests to detect it. The academic team believes the tests are the first of their kind. The tests could lead to earlier detection of autism spectrum disorders (ASD) and a spur appropriate treatment in children much earlier in their lives. "Our discovery could lead to earlier diagnosis and intervention," said Dr. Naila Rabbani, reader of experimental systems biology at the University of Warwick. "We hope the tests will also reveal new causative factors," Rabani added in a statement. "With further testing we may reveal specific plasma and urinary profiles or 'fingerprints' of compounds with damaging modifications. This may help us improve the diagnosis of ASD and point the way to new causes of ASD." The research was published in the "Molecular Autism" journal. ASDs are defined as developmental disorders mainly affecting social interaction and they can include a wide spectrum of behavioral problems. These include speech disturbances, repetitive and/or compulsive behaviour, hyperactivity, anxiety, and difficulty to adapt to new environments, some with or without cognitive impairment. Since there is a wide range of ASD symptoms diagnosis can be difficult and uncertain, particularly at the early stages of development. The researchers found the most reliable of the tests they developed was examining protein in blood plasma where, when tested, children with ASD were found to have higher levels of the oxidation marker dityrosine (DT) and certain sugar-modified compounds called "advanced glycation endproducts" (AGEs). The research team will repeat the study with more groups of children to confirm the good diagnostic performance and to assess if the test can identify ASD at very early stages. Additional research will attempt to indicate how the ASD is likely to develop further to more severe disease and assess if treatments are working.